Bali tours adventures Bali tours adventures consist of nature adventures concept. Some of nature adventures concept are eco cycling tour, mount trekking, forest trekking and rice field trekking tours, water rafting tour, jeep safari tour, and quad/atv tour. The trip start from penelokan kintamani village. Enjoy breakfast that we provide and the exotic of mount batur view looked from the restaurant. 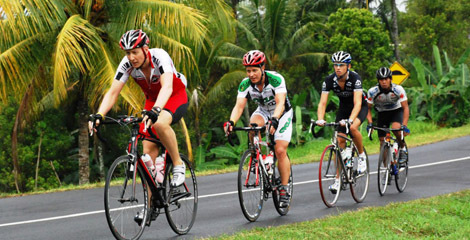 This cycling trip bring you to the rural bali village and passing the village rice field, forest village, village and temple. Meeting and see how the villagers do their daily routine. Because this is based on nature and eco tour, the trek line is not totally in main road but the trek line is in rural village and in villager’s plantations. After 3 till 4 hours cycling, finish in ubud. Pick up time sanur at 8 am, kuta at 7.30 am, ubud at 9 am. Note, minimum booking is 2 people.